The Navi Mumbai Municipal Corporation (NMMC) is planning to develop a nursery for mangroves using silt from the barricaded parts of its lakes, partitioned by a Gabion wall. The civic body, in a bid to increase the number of mangrove nurseries, is mulling over the idea of growing mangroves across the city’s holding ponds. The Navi Mumbai Municipal Corporation, established on 1992, is planning to develop a nursery for mangroves using silt from the barricaded parts of its lakes. A gabion wall is built in the middle of a lake, splitting the water in two parts. one, it will be aimed for the cultivation of mangroves; the other is usually used during festivals like Ganesh Chaturthi, an Hindu festival celebrated in honour of the elephant-headed god, Ganesha during of which, at the end of the festival, the idols are immersed (and dissolve) in a body of water such as a lake or pond. The Corporation is characterized from many actions that responding to the principle of the corporate social responsibility. It has developed best landfill sites in the country to handle solid waste in a scientific manner, not only, but it has developed an Eco-Friendly basis ‘C’ Tech 6 and also it has been appreciated for being the first corporation in the State for implementing policy of “Equal Work Equal Wages” for contract workers employed in various departments such as Sanitation, gardens etc. The project is aimed to build mangrove nurseries across various holding points in the city. The walls will have a beneficial aim too, actually it will prevent the water, polluted with clay and straws, from spreading to the other half. The part used for immersion is cleaned every few months. At present, Navi Mumbai has a total mangrove area of 4,978 hectares and there are 24 lakes in NMMC region across Airoli, Belapur, Nerul, Vashi, Digha, Ghansoli, Koparkhairne and Turbhe that were partitioned by the Gabion wall last year. A gabion wall is built in the middle of a lake, splitting the water body in two parts. After these walls came up, only one part of these lakes are being used for immersion. The walls prevent the water, polluted with clay and straws, from spreading to the other half. The part used for immersion is cleaned every few months. 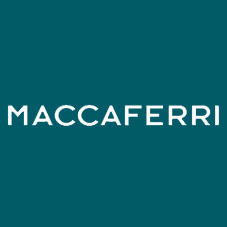 For more informations about Maccaferri gabions click here.